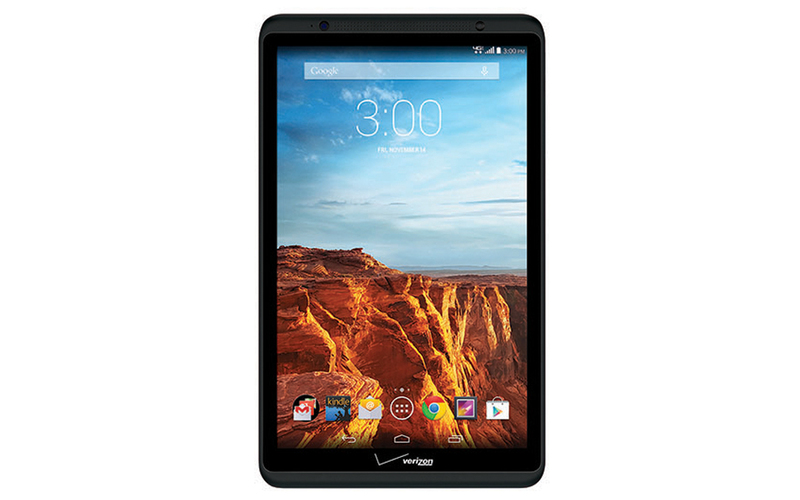 Yesterday, somewhere around mid-day, just as Google and Motorola were pushing out all sorts of new pages for the Nexus 6, Moto 360, G Watch R, and a bundle of accessories, Verizon was announcing a new tablet – the Ellipsis 8. No one noticed, of course, because the Ellipsis line of tablets isn’t exactly meant to dominate headlines. Like the Ellipsis 7 before it, the Ellipsis 8 is a super cheap tablet, with low-end specs, that’s meant to get a first-time tablet owner to buy one as an add-on to their MORE Everything plan. You see, Verizon, in this competitive wireless industry, is hoping that tablet add-ons and other connected devices will be the new money-grabbing, pocket-padding, billion-dollar frontier…err future of tech fun! The Ellipsis 8 sports an 8-inch HD display (1280×800, 189ppi), 5MP rear camera, 5,000mAh battery, and 1.5GHz quad-core processor “for multitasking and smooth graphics.” It runs $249.99 without a contract, but if you are into vomiting cash for the sake of looking like a fool deals, Verizon will gladly lock you into the Ellipsis 8 for two years at $149.99 on a 2-year contract. Hey, at least it has access to their XLTE network and Google Play! Look, for $249, you can do a lot better. Hang around ebay’s Deals page for a couple of days and you should walk away with a real tablet.